“Even a Little Exercise Might Make Us Happier,” a recent New York Times headline proclaims. It might sound obvious, but it’s still positive news — especially for those who may not be able to meet physical activity guidelines for the general population (30+ minutes of exercise on most days). For the published review, researchers at the University of Michigan analyzed the results of 23 studies since 1980 that explored the links between physical activity and happiness. The studies were mostly observational (not strict clinical trials) but they involved a total of 500,000 people ranging from adolescents to the very old and from a variety of ethnic and socioeconomic groups. The Times notes that happiness is a rather “subjective, squishy concept,” and it’s not clear from these studies if working out causes happiness or if the two commonly occur together. But overall, the results are notable because “the amount of exercise needed to influence happiness was slight… In several studies, people who worked out only once or twice a week said they felt much happier than those who never exercised.” Exercising even more frequently may bring even greater happiness, the researchers say. From what my friend tells me, since he started getting Boston Tennis Lessons to ease him back into exercising, he has felt happier. Talk with your doctor about healthy ways for you to squeeze in physical activity — ideas you’re likely to enjoy and stick with. For some people with Parkinson’s disease, it’s walking to their favorite tunes, and for those living with cancer, it may be chair yoga. In general, try not to stress about not getting enough exercise — other recent research shows that dwelling on it isn’t good for your health. Quartz summed up about $4 million of Japanese research on the benefits of something called “forest bathing” (essentially, it’s just sitting or standing in the woods). Inhaling the essential oils of a forest, generally called phytoncide, appears to give (healthy) people an immune system boost and reduce stress. Even getting a “dose of nature” in an urban park setting can help with stress relief, studies have shown. Some health conditions may make it difficult to spend time outdoors, such as lupus (which can bring sun sensitivity — check out these photosensitivity tips). 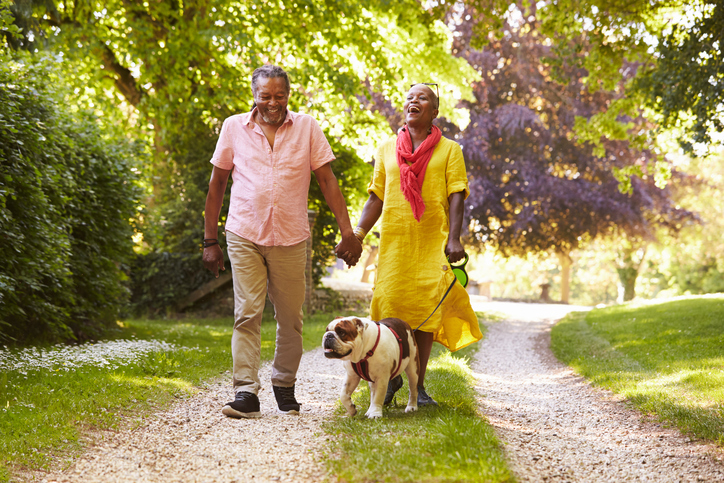 Connect with members of your community on PatientsLikeMe or talk with your doctor about ways to safely spend time outside, considering your particular condition. How do you squeeze in a bit of activity or outdoor time these days? Join PatientsLikeMe today to swap ideas with the community!